Why you'll love it: The Grip Boost Second Skin 2.0 golf glove has an innovative design that uses stretchable webbing and mesh fabric to create a natural fit. Innovation in a golf glove isn’t easy to find, but the Grip Boost Golf Second Skin 2.0 golf glovehas created an intriguing design that’ll feel more comfortable than many other golf gloves. The back of the glove features a webbing pattern that allows the glove to fit tightly, yet comfortably. The webbing stretches to make the glove more comfortable to wear, molding it to your hand. 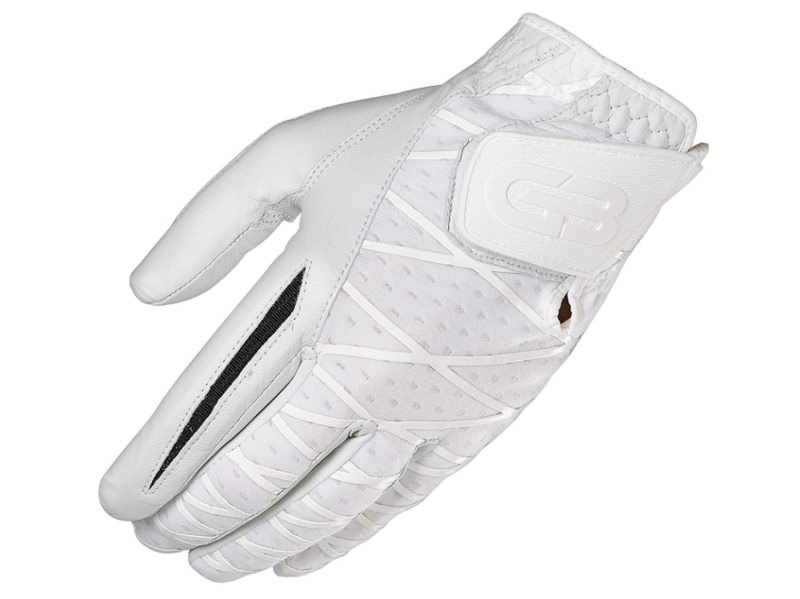 The Golf Second Skin 2.0 golf glove has mesh windows and dimpled leather throughout the construction, allowing this glove to pull moisture away from your hand for more comfort. You can pick from multiple sizes, as well as a left- or right-handed fit. It’s also quite affordable. Even during humid weather, it’s easy to take these gloves on and off, which gives them a big advantage over other gloves that sometimes stick to the hand when they become wet. In its write-up, Golf Sidekick likes the way these gloves feel while playing, especially if your hands usually feel hot during a round of golf. However, because of all of the mesh used in the design of the golf glove, the fabric may tear when placed under stress. When you’re looking for a golf glove that fits the hand perfectly, Golf Unfiltered says the Grip Boost glove works well, as it won’t bunch up strangely on your hand or wear unevenly in the palm area. Amazon reviewer Dominick Defilipo likes the lightweight and natural feel these Grip Boost Golf Second Skin gloves provide. Amazon reviewers Rich and Bonnie agree, saying the Grip Boost almost feels like you aren’t wearing a glove at all because of its natural fit.